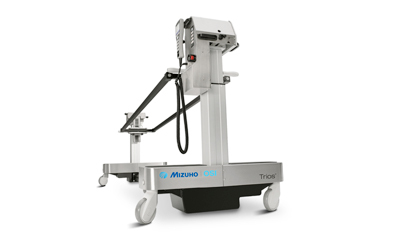 This accessory is for use with the Allegro® Mobile Imaging Table, PROfx® Auxiliary Imaging Top, Modular Table System Radiolucent Imaging Top and General Surgery Tables. The Drape Rod is designed to ensure when translating the table top of the Allegro®, the surgical drapes over the patient move with the table top. Traditionally the patient’s sterile surgical drape is attached to free standing I.V. poles on either side of the head end of the table and when a patient is having a procedure which requires the table top to be translated then the I.V. poles as well need to be manually moved to ensure the position of the surgical drapes is maintained. 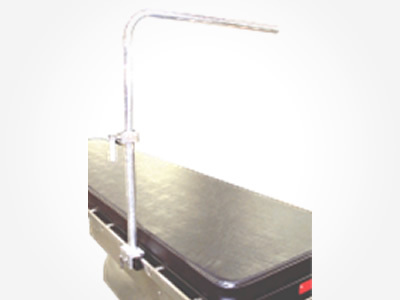 The Drape Rod which mounts on the side rail of the table ensures the surgical drapes move with the table top.